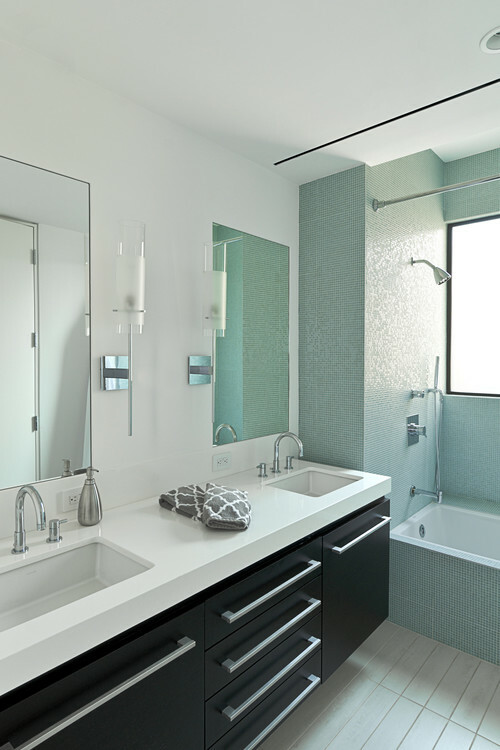 Remodeling your bathroom can add a lot of value to your home. You can choose to change a few small things that will make a huge difference, or choose to renovate the whole room with additions such as a garden tub or stand alone shower. Whether you’re planning on selling your home, or you just want to update, here are some of our favorite trends in bathroom remodeling. Glass tile gives your bathroom an “underwater” vibe, while being relaxing at the same time. This bathroom by Content Architecture in Houston displays a clean example of blue glass tile working it’s magic. 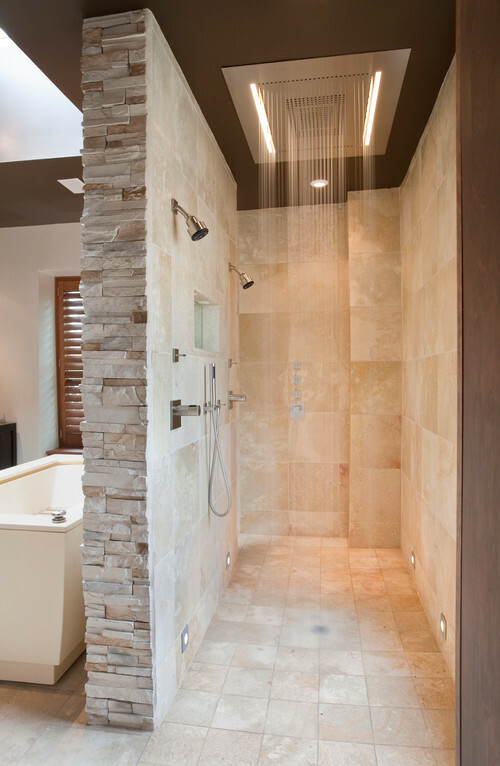 A free-standing shower can add a contemporary and luxurious feel to your bathroom. We love the use of unique and multiple shower heads by ART Design Build in Austin! 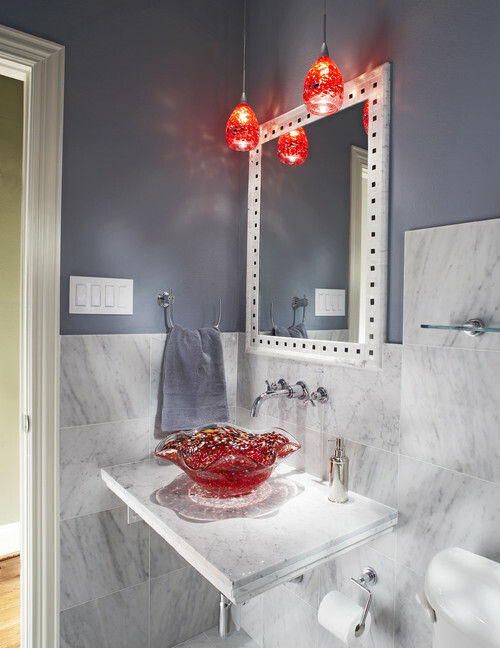 A smaller bathroom is a great place to use the drama of bold colors. 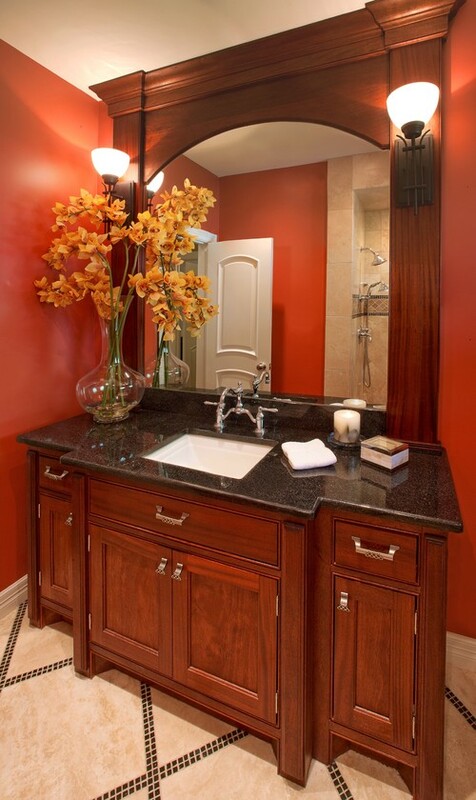 Here Houston’s Gryphon Builders paints the walls a bright red for a dramatic, luxurious feel. 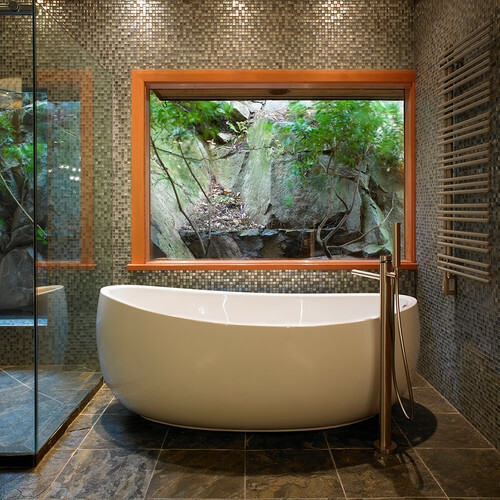 A separate, garden tub can make your bathroom feel like a spa! This large bathtub by The Sky is the Limit design in Vancouver is the perfect place to relax after a long day. Modern, designer lighting is hot right now, and can really make your bathroom look unique and special. This home in Dallas, by USI Design and Remodeling reflects how a few small changes such as lights, and a unique sink can make all the difference to a bathroom. Are you feeling as inspired as we are? Use these photos for ideas to turn your bathroom into your own relaxing paradise!